Preparations are in full swing for the 45th Annual Carnival celebration taking place April 21 – May 5, 2014 on the idyllic island of St. Maarten. The Carnival is the islands largest cultural celebration featuring colorful parades, pageants, musical performances and other activities culminating with the traditional “Burning of King Momo.” St. Maarten’s Carnival stands out among other regional celebrations due to the duration of this activity (two weeks) and the way locals embrace participating vacationers who get swept away in the revelry. St. Maarten is the only place in the world that has two Carnivals – the first in February on the French side of the island (St. Martin) which could be seen as a dress rehearsal of sorts for the bigger celebration that takes place in April on the Dutch side of the island. The April Carnival Season is one of the most exciting times to be in the Caribbean as residents and visitors to St. Maarten can invoke their Carnival spirit long before the two-week festival officially begins with events and competitions held as early as March 28. Pre-Carnival activities include the Cause-Way Jump Up on March 28, Senior Road March Competition on March 29, the Survivors Elementary School “Balloon Parade” on March 30, the Fete to Fitness Around Town Jump-Up on April 4, the Junior Calypso & Senior Eliminations on April 5, the Teen & Senior Speech & Cultural Competition on April 6, and the Rio Productions Lighted Parade on April 12. The official celebration begins on April 21 with the Opening Jump Up for Carnival 2014 followed by the Miss Mature Queen Pageant on April 22 and the Teen & Senior Queen Pageant on April 23. The celebration continues with the start of the 2014 Carnival International Concert Series, which will kick-off with the International Zouk Concert on April 24 and the Night of The Hit Makers event on April 25. The festivities are off to an early start on April 26 with the Jouvert Morning Jump Up beginning at 4 am. The International Concert Series continues with the Riddim Box Presents International Concert on April 26 followed by the Daybreak Breakfast Fete and PJD2 Caribbean Queen Pageant on April 27. The Senior Calypso Finals & Carnival Honors will then take place on April 28 which will be succeeded by another International Concert, Sabor Latino II on April 29. The Junior & Grand Carnival Parade on April 30 is one of the most exciting events of the season, but things will not slow down on May 1 as the revelry continues into the Labour Day Parade where participants will don costumes that depict local heritage as they move their feet to the rhythms of cultural songs. The International Concert Series closes with Where The Flex presents Reggae Night on May 2, after which the Youth Extravaganza will take place on May 3. The Carnival Season culminates with the Family Fun Day & Viliage Cook Out on May 4 and the Burning of King Momo on May 5. It is said that the Burning of King Momo rids the island of its sins leaving it fresh and revived until next year’s Carnival celebrations. The St. Maarten Tourist Bureau is encouraging travelers planning a visit to St. Maarten coinciding with Carnival 2014 to book flights and accommodations early as rooms are expected to be sold out, especially in the Philipsburg capital where the Carnival Village will be located. Get updates on St. Maarten’s Carnival via Facebook. 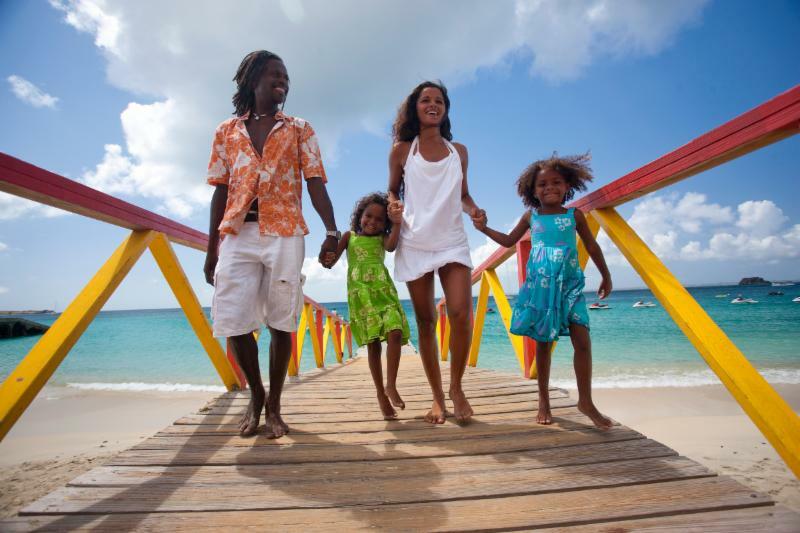 For more information on activities, restaurants and accommodations, visit www.VacationStMaarten.com. 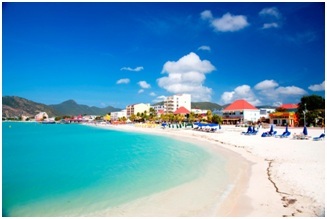 The idyllic, Dutch-influenced nation of St. Maarten (http://www.VacationStMaarten.com) is gearing up for its 44th Annual Carnival, which is taking place April 18 – May 2, 2013. Themed “Come, experience life!” the 2013 carnival is the island’s largest celebration featuring colorful parades, pageants, musical performances and other activities culminating with the traditional “Burning of King Momo.” St. Maarten’s Carnival stands out among other regional celebrations due to the length of the carnival celebration and the way locals embrace participating vacationers who get swept away in the revelry. The official celebration begins on April 18 with the Opening of Carnival Village with festivities in high-gear until the Grand Carnival Parade on April 30 – one of the most exciting events of the season. But things will not slow down on May 1 as revelry carries over into the Second Day Parade, where participants will don vibrant costumes that depict local heritage as they move their feet to the rhythms of cultural songs. The Carnival Season culminates with the Closing Jump-Up and Burning of King Momo on May 2. It is said that the Burning of King Momo rids the island of its sins leaving it fresh and revived until next year’s Carnival celebrations. Musical performances for Carnival in St. Maarten include: Night of The Hit Makers – Friday, April 19 with Burning Flames & Onyan (performing in St. Maarten for the first time), Le Groove (2013 Aruba Soca Monarch), Oswald (St. Maarten’s Prince of Zouk), Gio Fuertisimo (Curacao Ritmo Kombina & 2013 Tumba King), and Control Band (renowned as St. Maarten’s #1 Party Band); Latin Night – Friday, April 26 with Daddy Yankee; RiddimBox Presents – Saturday, April 27 with performances by Busta Rhymes, Terri Lyons, Nadia Batsom, Tallpree, Lady Saw, and RDX;and Reggae Explosion 3 – Monday, April 29 featuring Miguel, Damian Marley and Busy Signal. The St. Maarten Tourist Bureau is encouraging travelers planning a visit to St. Maarten coinciding with Carnival 2013 to book flights and accommodations early as rooms are expected to sell out, especially in the Philipsburg capital where the Carnival Village will be located. “We look forward to welcoming visitors not just to the beautiful shores of St. Maarten but to participate in St. Maarten’s Carnival, our largest cultural event and what is essentially the North Eastern Caribbean’s longest food and musical festival,” said Edward Dest, interim director of tourism for the St. Maarten Tourist Bureau.